Looking for Some Great Inshore Fall Fishing Action? Give Cedar Key at Try! “Cedar Key” isn’t just one island, but the name given to the archipelago of the Cedar Keys, on the westernmost edge of Florida’s Levy County. 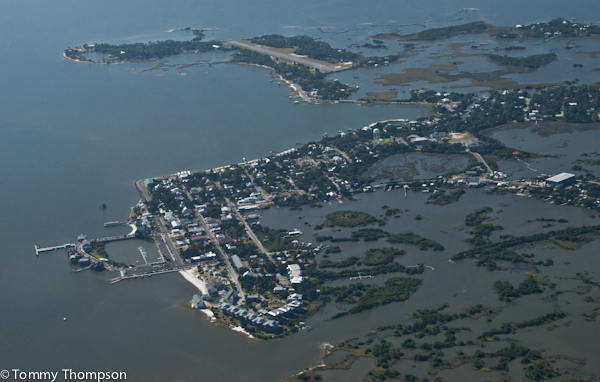 The town of Cedar Key encompasses many Big Bend islands and offers excellent fishing, lodging and dining! What makes the fishing so good at Cedar Key, particularly in the windy fall months, is that there’s always somewhere to get out of the way of the weather. The ability to get behind a small island to point can make an angler’s day, especially if he or she is in a small powerboat, a canoe or a kayak! Weather aside, there is good fishing on both the Gulf and Waccasassa Bay side of the town of Cedar Key. Access is good, with ramps inside and just outside the downtown boat basin, as well as on the backwater Number 4 channel. Paddlers have access from many other spots, some as convenient as the downtown beach or from the Shell Mound ‘beach’ just north of town. As the Gulf waters cool in late fall and early winter, sea trout move onto the flats, especially in areas where grass is mixed with white sand patches. The “Jug Bar”, just south of Snake Key is an excellent place to start your trip, as are the flats between North and Seahorse Keys. And don’t overlook the action in Waccasassa Bay, east of Cedar Key. Here, the grass stretches from Atsena Otie Key all the way to the mouth of the Waccasassa River and Eleven Prong point, north of Yankeetown. You can also expect to find redfish cruising the shorelines of any of the islands. High tides on warm afternoons are best for reds–just be sure to not run aground on the same rocks and bars that attract the fish. Father and son fishing guides, Jimmy and Jimbo Keith, have fished the waters around Cedar Key for years and report that 2012 is one of the best fall seasons ever. Using Bass Assassin’s Green Moon grubs pinned to light jig heads under popping corks, they regularly return home with limits of nice trout and reds for their customers. Now’s the time to go! As mentioned, not only does Cedar Key have something to interest any inshore angler, but there’s also good nightlife, food and lodging there. 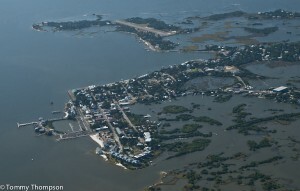 For complete information, take a look at the Cedar Key website.